Submitted by Christina Fox on Fri, 27 May 2016 - 13:53. Why not visit London's oldest surviving allotments - here in Ealing W13? 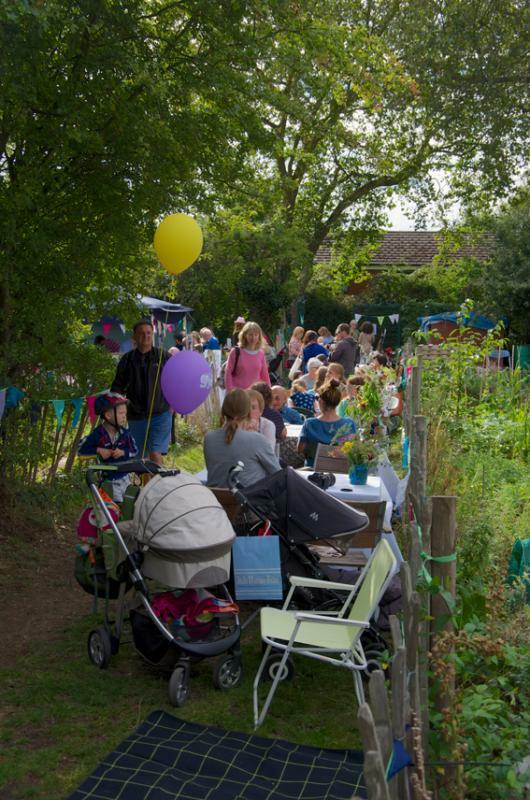 Northfield Allotments in Northfield Avenue, Ealing is opening its gates again for its second annual open day on Saturday 25th June from 1pm-5pm. Wander round the site and see what is growing – we’d love to know which is your favourite plot. This year we have been doing lots of research into the site and have now discovered that we are the oldest allotment gardens in London. We love our allotments and are keen to share them with fellow gardeners. So, please do come and join us, and see what is growing. Whether you want to chat with plotholders who are passionate about gardening or just come and soak in the atmosphere of this beautiful place – you will be very welcome. Dogs are welcome too (if on a lead). Entrance is via the big double gates on Northfield Avenue (by the two bus stops).